AS HARD AS YOU MAY TRY TO AVOID EMERGENCIES, they often creep up on us anyway…that’s just life. 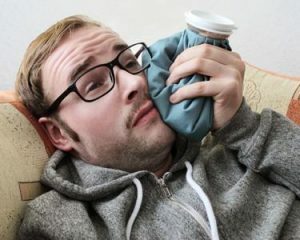 Fortunately, Staten Island dentist Dr. Hecht has a great deal of dental emergency experience whether you tripped on the playground, had a wakeboarding accident, or simply have a tooth that won’t stop hurting. Although injury to your teeth or gums may seem relatively minor to you, it can actually be potentially serious—with risks of more permanent damage, OR more extensive and expensive repair down the road. Make sure to take action as soon as you injure your tooth so that Dr. Hecht is better able to restore your mouth to health. Of course, not all tooth pain is a dental emergency requiring emergency dental care. If you have a toothache make sure nothing is lodged in your tooth and apply an icepack to reduce swelling. Pain relievers can also be taken to help make the situation more bearable. A knocked out, chipped, or broken tooth requires a little more action. Make sure you save the tooth (or pieces of it) and apply gauze pressure if you’re bleeding. Don’t try and put the tooth back in the socket or clean it off—you may remove important roots and ligaments. Keep the tooth moist and come in to see Dr. Hecht as soon as possible! If you are in need of an emergency dentist, call Staten Island Dental Care. Though we are not a clinic, we will do all we can to make room in our schedule to provide you the emergency dental care you need. Please be careful out there! And wear a mouth guard to help prevent an injury! We want to help you keep ALL of your teeth—FOR LIFE!